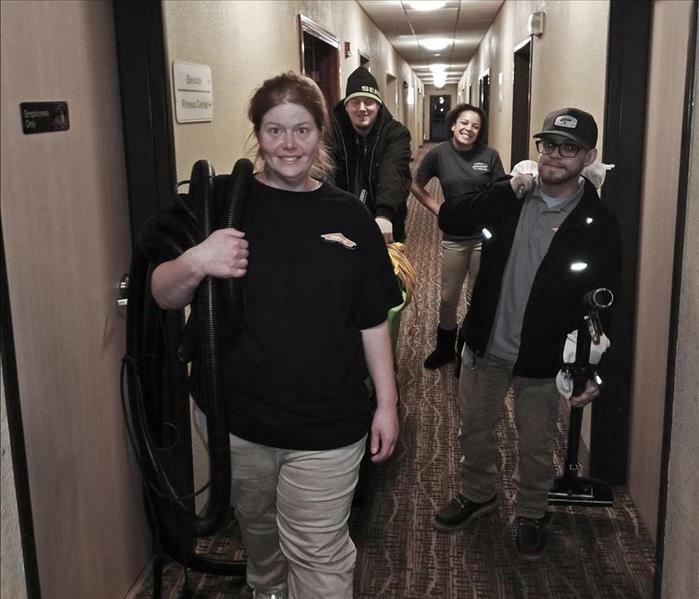 Our SERVPRO Chillicothe/Cameron/Richmond crew finishing up a large carpet and HVAC cleaning at a local hotel in Bethany, Mo. From residential to commercial, we are "Here To Help!" We where extremely honored to receive this 2018 Directors Bronze SERVPRO INDUSTRIES award for Outstanding 2017 Sales Performance. 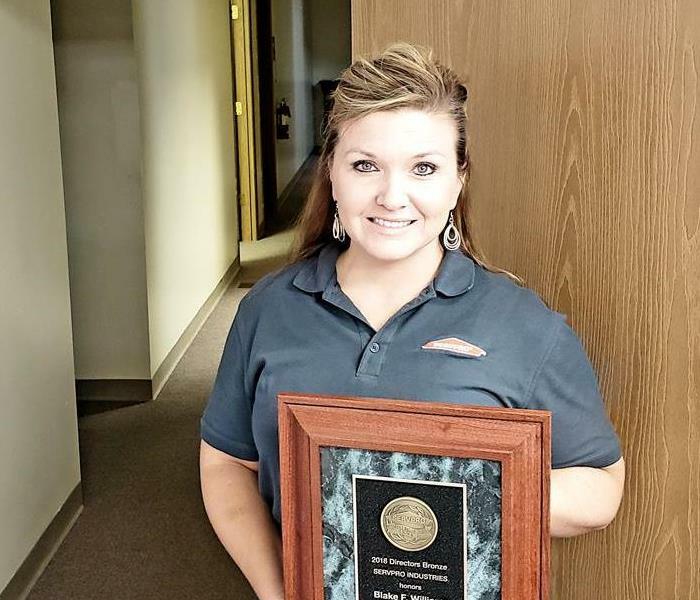 In the photo we have our Sales Manager Danielle Svendsen holding the award! 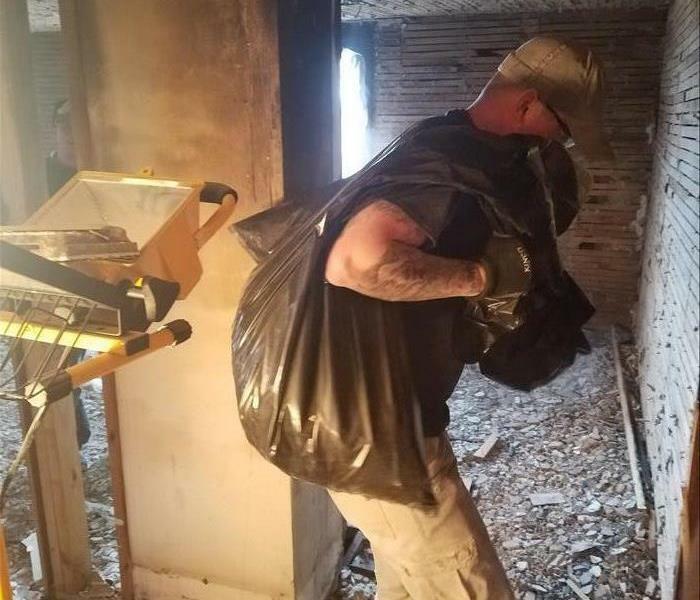 One of our Crew Chiefs removing bags of debris and content severely damaged by a fire in Kingston Mo. More photos of what our crew was able to accomplish coming soon. Look out for Kingston Flu Fire tag. 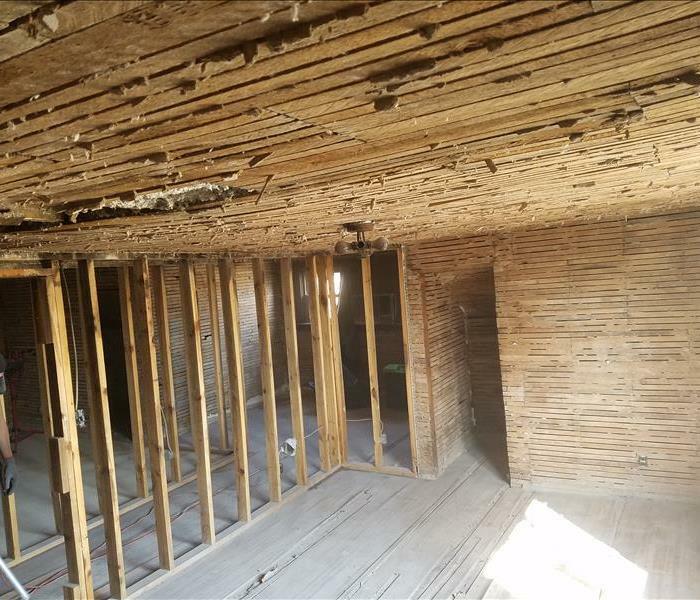 This is a post tear out photo from a fully affected upstairs, this room here was the first room affected in the fire but will be ready for a remodel soon. This room was the first room hit by a flu fire this winter. 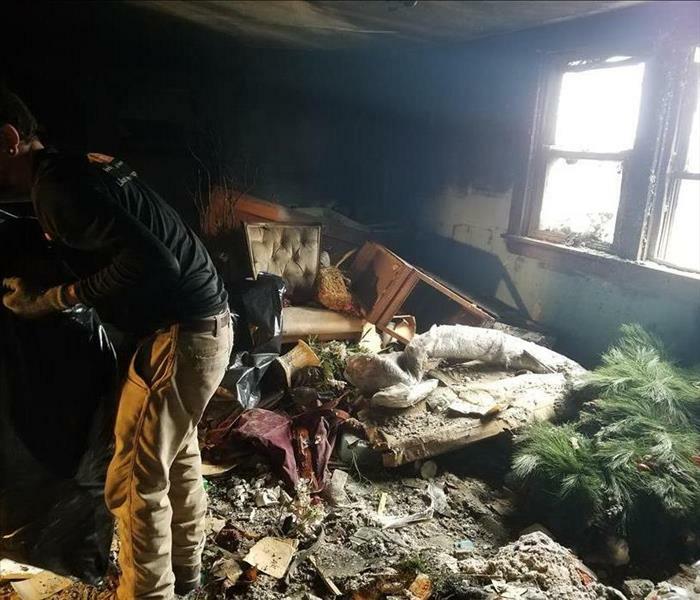 The home owners lost 90% of their content in this room, luckily our SERVPRO team was able to salvage a few sentimental items.